Aspen is home to one of Colorado’s backpacking classics. The famed three-day to four-day 26-mile Four Pass Loop takes adventurous hikes through aspen groves, over four 12,400-plus-foot peaks and amongst pristine mountain lakes. In the summer months the aspen meadows are dotted with wild flowers are absolutely spectacular and, similarly, in the fall the aspen leaves are bright and striking. Editor's note: as of July 2015, bear canisters are now required for food storage in the Maroon Bells - Snowmmas Wilderness. For more information click here. Aspen is home to one of Colorado’s backpacking classics. The famed three-day to four-day 26-mile Four Pass Loop takes adventurous hikers through aspen groves, over four 12,400-plus-foot peaks and amongst pristine mountain lakes. In the summer months the aspen meadows are dotted with wild flowers are absolutely spectacular and, similarly, in the fall the aspen leaves are bright and striking. 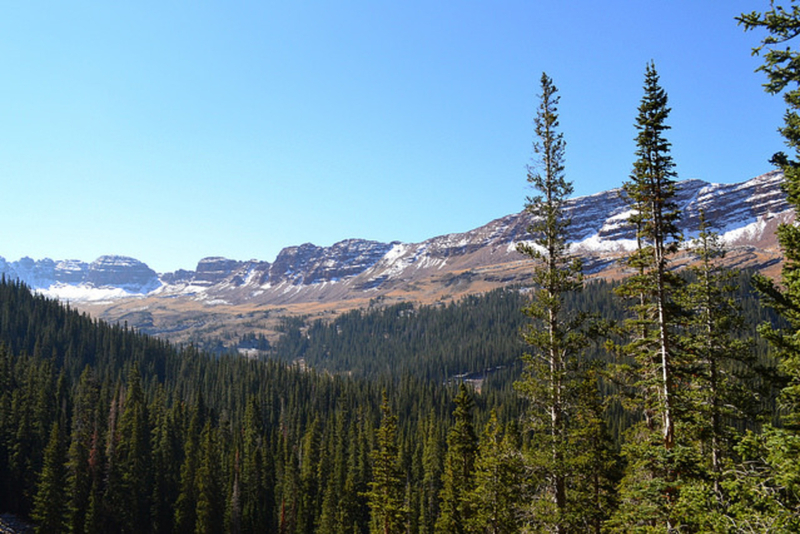 Most backpackers start from the the Maroon-Snowmass trailhead at Maroon Lake and then proceed west for two miles. 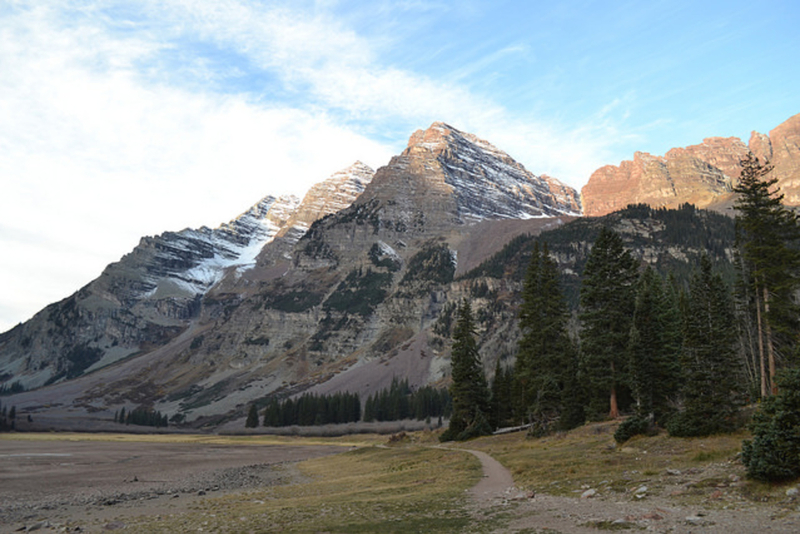 The route then takes the hikers up the West Maroon Creek Trail to West Maroon Pass and then descends to the North Fork Fravert Basin Trail and then to Geneva Lake. The hike typically takes three to four days, but some choose to stretch the beautiful experience out over five days. Maroon Pass and Frigid Air Pass are generally summited on day two, Trail Riders Pass on day three and Buckskin Pass on day four. Hikers should start early in the day to avoid afternoon thunderstorms. In addition to traveling with lightweight backpacking gear and a water treatment method, which can be purchased at Ute Mountaineer in downtown Aspen, it’s important for hikers to bring Teva or Chaco-like sandals, as the Four Pass Loop navigates through several stream crossing. Wading barefoot can be extremely dangerous. It’s important to unbuckle your pack when navigating any stream crossing. This route is not for the faint of heart, which is part of the appeal. The trail sees few crowds and provides hikers with the opportunity to truly enjoy the serenity of nature. There's nothing like relaxing next to a quiet lake and taking the scent of fresh mountain air. The route takes hikers up through aspen forests to alpine meadows and lakes, but its Geneva Lake that stands out as the most memorable. Snowmass Mountain sits behind the pristine mountain lake and the effect is stunning. 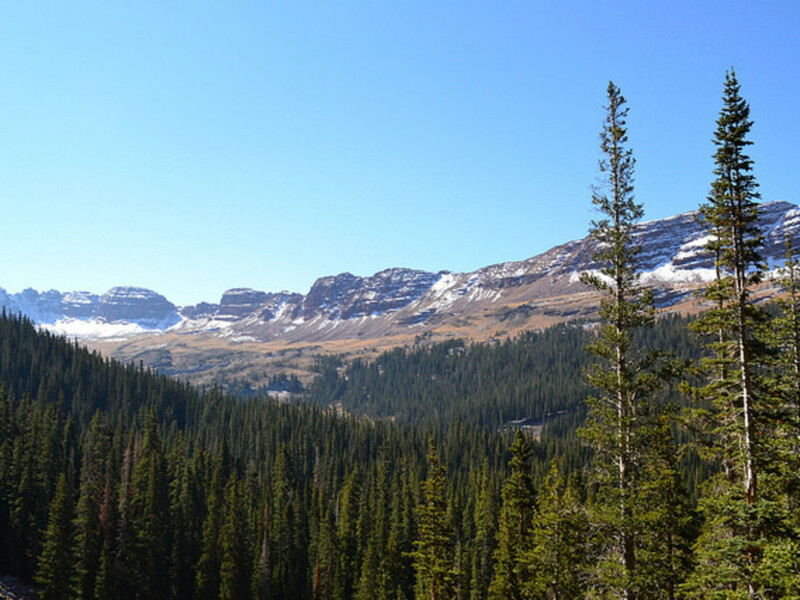 Aspen’s Four Pass Loop is best enjoyed by those who have experience with challenging overnight trips or have the proper backpacking gear and are very physically fit. This route rewards experienced hikers with breathtaking alpine lakes and incredible mountain vistas. To access the Maroon-Snowmass trailhead take Maroon Creek Road (from Aspen) and drive nine miles to the overnight parking lot ($10). From mid-June through September, Maroon Creek Road is closed to private vehicles from 8 a.m. to 5 p.m., so you can take the shuttle ($6) from Aspen Highlands Village. Overnight camping in the area is free, but you are required to register your party at trailhead kiosks. Every member in the party needs to carry a registration tag. If you camp at Geneva or Crater Lake, you must camp in designated spots. Otherwise, camps need to be impacted and 100 feet from water and trails.